Representatives Daniel Holt (left) Justin H. Woodson and Angus L.K. 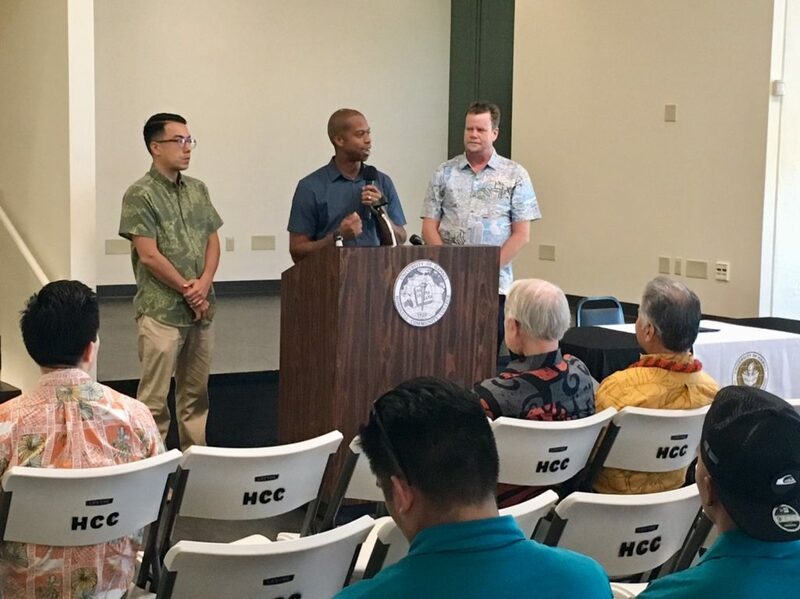 McKelvey attended the signing of House Bill 2501 to provide Hawai‘i students with financial aid under the Community College Promise Program. File courtesy photo. Maui’s Justin H. Woodson has secured a house leadership role as one of nine majority whips. 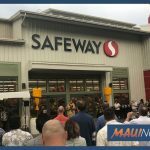 He was also identified as chair of the House Committee on Education under a list released today by House Speaker Scott Saiki. 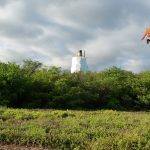 Meantime, fellow Maui Representative, Angus McKelvey was identified as the chair for the Economic Development & Business Committee in the 13th Legislature. 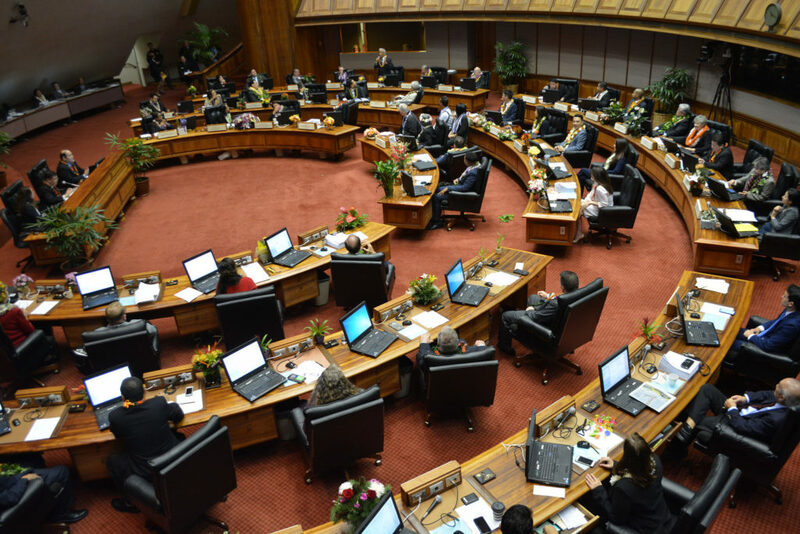 House Speaker Scott Saiki today announced the House Leadership roles and the committee chair assignments for the upcoming session. The committee structure has been adjusted to combine related subject areas, focus committee jurisdictions on critical issues, and streamline the hearing process. 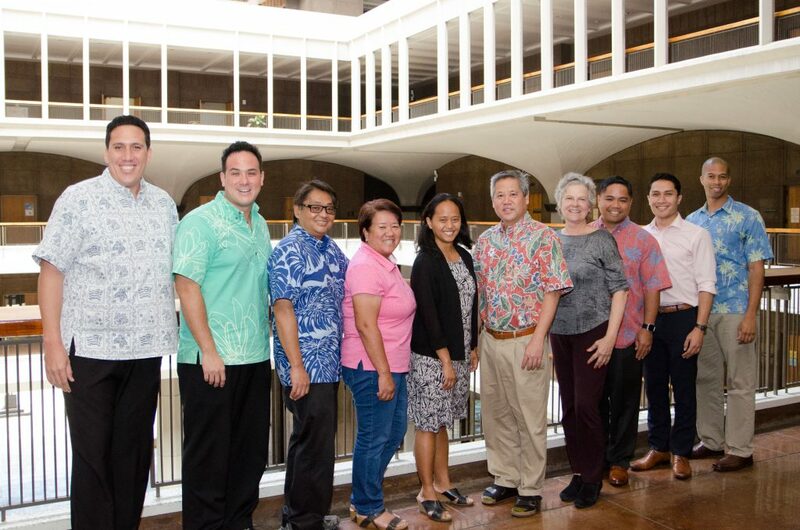 Majority Whips: Henry J.C. Aquino; Aaron Ling Johanson; Bertrand Kobayashi; Chris Lee; Nicole E. Lowen; Nadine K. Nakamura; Takashi Ohno; Joy A. San Buenaventura; and Justin H. Woodson. Committee member assignments will be announced prior to Opening Day.